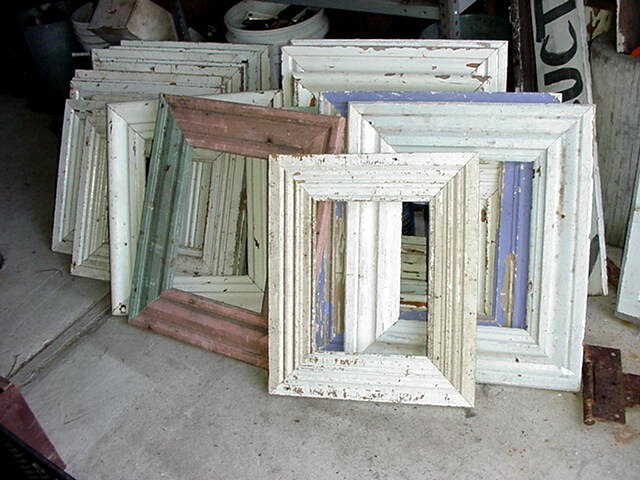 These frames are crafted from old moldings salvaged from buildings and homes across the country. The average size measures as follows: outside dimensions: 20"x 17 1/4" inside opening size: 10 1/4"x 13 1/4" **Note--Sizes and colors vary. Please contact us for more information. Price does not include any mounting hardware.